The exciting new twist on brushing your teeth! We live in the 21st century, so let's brush our teeth like it! 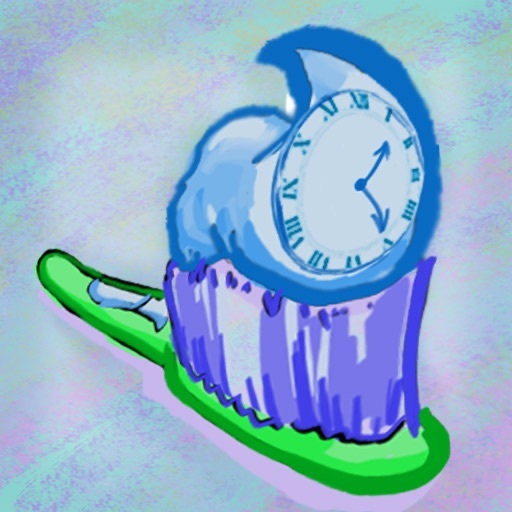 No more caveman guessing how long to brush, Toothbrush Timer guides you the whole way through! 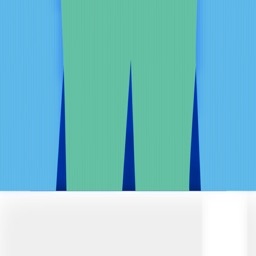 Imagine a world, where everyday you finish brushing your teeth to a roaring applause. 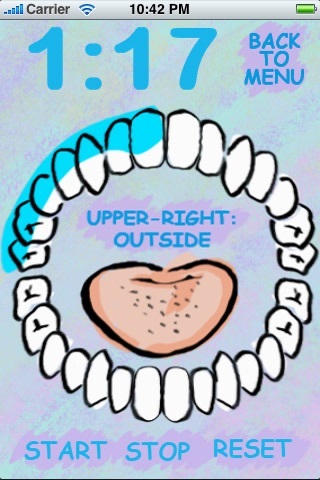 Complete with cool blue graphics that are easy on the morning eyes and awesome tips that will surely help your dental game. Using a timer makes brushing extremely effective. 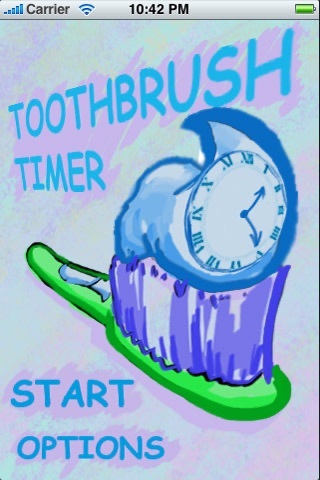 Toothbrush Timer tells you when and where to brush your teeth using dentist recommended tips. Scientific data suggests that lack of proper brushing can cause advanced gum disease and can even increase the risks of serious conditions such as cardiovascular disease, stroke, or pneumonia. 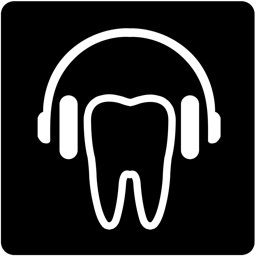 The timer helps to reduce these risks by giving you the ability to use the two minute interval (for electric toothbrushes) or adjustable intervals for traditional toothbrushes. 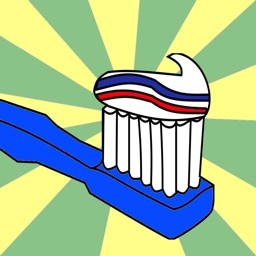 Do you remember how long ago your current toothbrush was purchased? 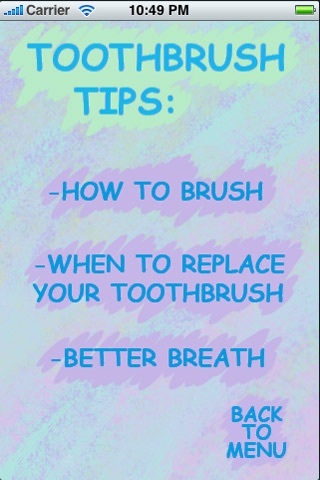 Worn toothbrushes can damage gum tissue, become a breeding ground for germs, or lose effectiveness. Dentists recommend replacing toothbrushes every 3 months. 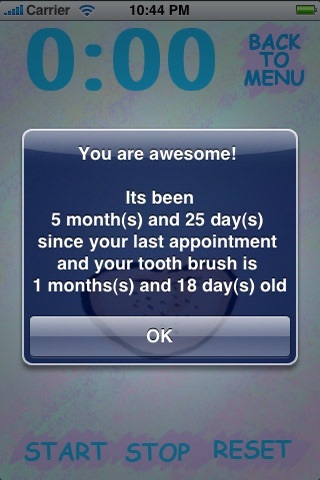 Luckily, Toothbrush Timer comes with a toothbrush tracker that alerts you how long your toothbrush has been used. Don't get any more cavities! 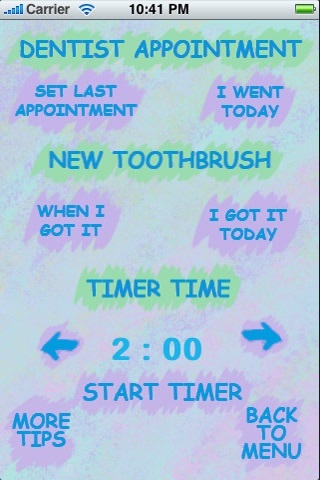 Toothbrush Timer reminds you of your last dentist appointment, so that you can make time in your busy day to get checked out. 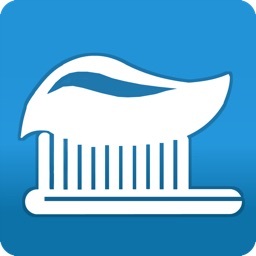 Brushing your teeth will never be the same again!